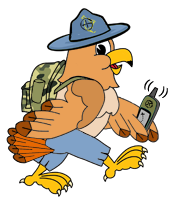 OCNA Admin DudleyGrunt and his good friend NativTXN (Denise) were recently on the GeoGearHeads Podcast episode 197, talking Solo Caching. A libsyn embed of the show is at the bottom of this post. This show is not about OCNA, but we like to promote DG, whom we believe to be the most prolific guest in Geocaching Podcasting history. 🙂 You’ll notice we did not refer to NativTXN as an OCNA Admin. This is because she got way too busy in life, and stepped down from her position with us in mid August 2015. Our records (a post in our forums) indicate she was announced as a member of the OCNA Team on May 1st 2012. We thank her for her 3+ years of service! GeoGearHeads is a near weekly feature with The Bad Cop and DarrylW4 discussing topics of interest to Geocachers, Location-based Gamers, and Technology Enthusiasts. They record the shows live through Google+ Hangout On Air Thursday nights at 9:10PM Eastern/6:10PM Pacific (The upcoming shows are listed on the Google+ GeoGearHeads page). You can subscribe to the audio version through iTunes, RSS, or Stitcher, watch the shows on YouTube, and check them out on FaceBook, Google+, and Twitter. OCNA Free Pathtag back is live!